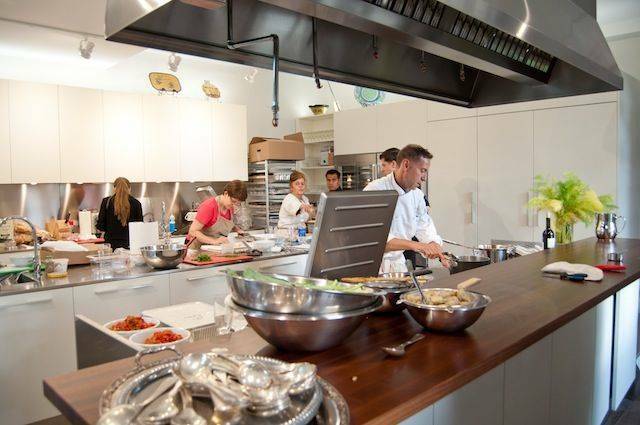 A new addition to Casa Belvedere, the official home to the Italian Cultural Foundation ~ Cucina Colavita opens its doors to the public, offering cooking classes to amateurs and professionals alike. 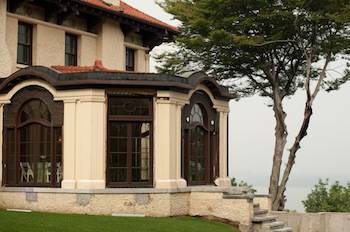 Casa Belvedere, the official home to the Italian Cultural Foundation whose mission is to preserve, promote and celebrate all things Italian is now a proud owner of a state of the art kitchen. 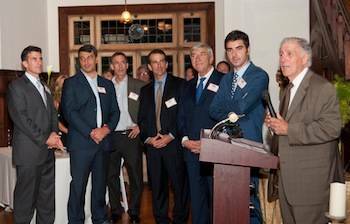 Although major renovations of the mansion have kept the Staten Island Italian cultural center closed to the public since September, the official opening of “Cucina Colavita,” the facility's culinary school kitchen, certainly marks the beginning of a new era, bringing hands-on instructional cooking classes hosted by guest chefs. The kitchen is the heart of a home, and what a marvel of a kitchen it is! Lets start with the location. 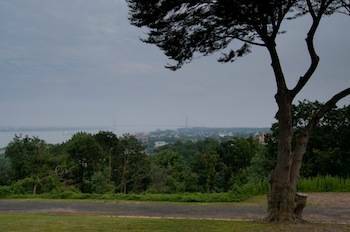 Situated in Grymes Hill neighborhood of Staten Island, Casa Belvedere, a magnificent historic landmark mansion surrounded by lavish grounds and boasts with rich history, and offers spectacular views of the New York City Harbor and the Verrazano-Narrows Bridge. 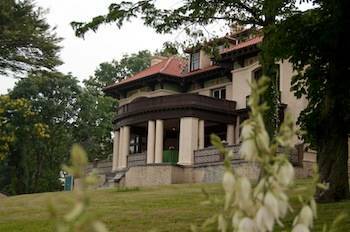 Back in November of 2008, Staten Island residents Gina Biancardi-Rammairone and Luciano Rammairone purchased the mansion with a determination of restoring it to its original grandeur and have since turned it to co an Italian arts and cultural center. The kitchen with its lofty ceiling, stainless steel finish and state of the art cooking equipment is the first step to creating a new destination for enthusiastic home cooks and professionals. "This is just the baseline to getting an accredited culinary institution centered on Staten Island," states Gina Biancardi, president of the Italian Cultural Foundation at Casa Belevedere. 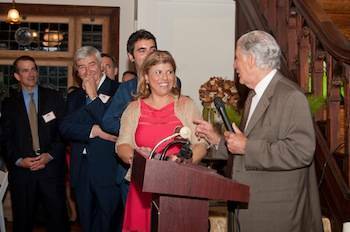 “None of this would be possible if it was not for the support of the Colavita family, who has believed in me and this project from the start,” she continued. “A trusted family brand,” – a slogan of the company, and it couldn’t have been more true! 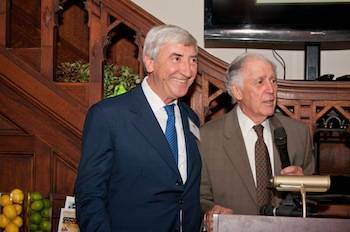 Present for the official opening of the Cucina Colavita , was the company’s CEO Giovanni Colavita together with his uncle Enrico Colavita, founder of the company and his long time partner and friend John Profaci. It is amazing and very moving to see the support they give to one another and how much they value the family business and most of all the bringing forth of the Italian tradition. “The family spirit is evident in the encouragement and assistance I received from the Colavita brand, ” declared Gina Biancardi. 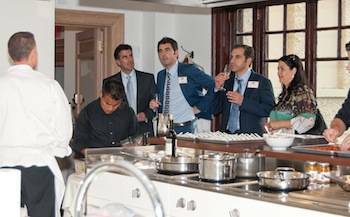 The Cucina Colavita will serve the Italian and American community providing interactive cooking sessions with a maximum of 10 students. We wish the Casa Belvedere the same spirits and determination in promoting Italian culture that their major sponsor company has demonstrated in the last decades. 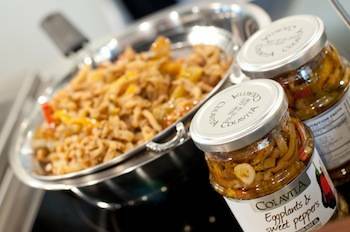 Click here for more info on cooking classes @ Cucina Colavita.